The connection to a web service will be established via SOAP, a network protocol for the exchange of data via HTTP, i.e. TCP/IP. You require an existing internet connection for the execution of web service request in the internet. 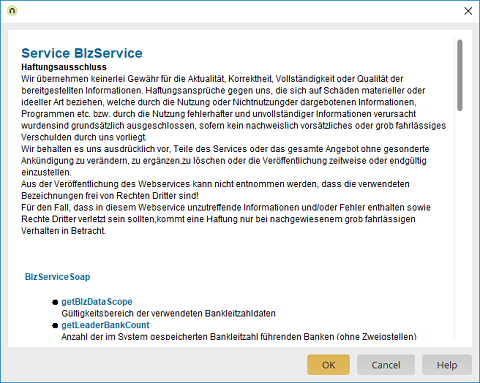 Information about the selected web service is shown here. All operations that are available will be listed and explained with a short description.